Many people struggle with dry, dehydrated skin. Not only does dry skin tends to be itchy and irritating, it can make wrinkles more noticeable. So, what can you do to prevent having a dry skin? 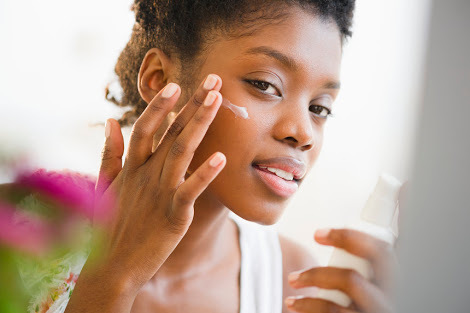 Jumia, the online store you can trust, shares ways you can moisturise a dry skin. Before applying a moisturizer, be sure to pat your skin with a towel until it's almost dry instead of rubbing it. This is because toweling vigorously can irritate a dry and sensitive skin. Afterward, use moisturizer immediately. This helps plug the spaces between your skin cells and seal in moisture while your skin is still damp. A cleanser is a facial care product that is used to remove makeup, dead skin cells, oil, and dirt. So, use cleansers that contain ingredients known to provide that much-needed moisture. Chances are the more gentle the cleanser, the less harsh on the skin. Look for facial cleansers that are specially formulated for dry skins. They are richer, creamier and lotion-like in texture. Stay hydrated by drinking good water. Drink water to stay hydrated from the inside out as this can help skin stay dry. Also, the more water you drink the more you look younger. A good exfoliation from your face to your toes can really help your skin retain moisture. Scrubbing helps to remove the dead and dying skin cells from the surface, revealing new healthy skin cells beneath. It’s the newer cells closest to the surface that is the moistest. When you turn on the heater, the air in your home dries out, and the moisture in your skin evaporates quickly. Use a vaporizer or humidifier to keep indoor air moisturised to prevent your skin from drying out.